Hee hee, it's late and I need to get to sleep but I wanted to get these little cuties posted since they're new and can I say how much I LOVE the way they turned out. 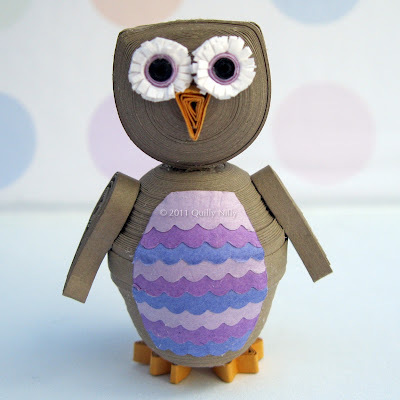 In the past I've worked with owls as magnets, on cards and wall hangings - all 2 dimensional, lately I've been doing more and more 3 dimensional paper items and having lots of fun with it; it's like sculpting but with paper. 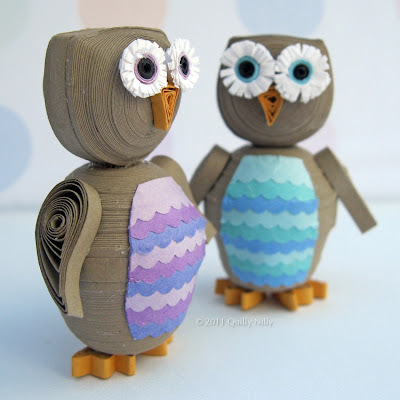 Well I've been wanting to do 3D owls and finally challenged myself this weekend to create one, then two; they're fun and I want lots and lots of them. The purple one is for my coworker who is going through a tough situation right now, a little pick me up - to let her know we're all thinking about her. The blue one is going to be for sale, in my shop or at a craft fair I'm doing in May. I've got the parts for a couple pink one's but ran out of time to finish those, I'm also out of paper so will be placing an order tomorrow for more. I'll post more photo's as I make them, and I suspect I'll be making lots of them. 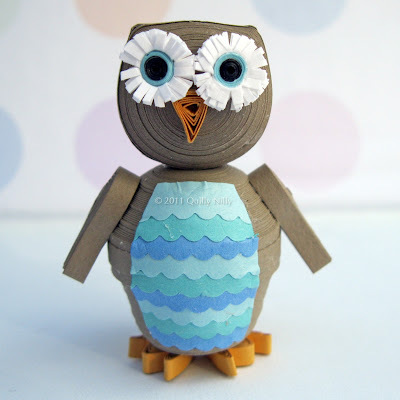 I can see why you'll be making more....they are just ADORABLE! !